Eberjey heather slub jersey tee. 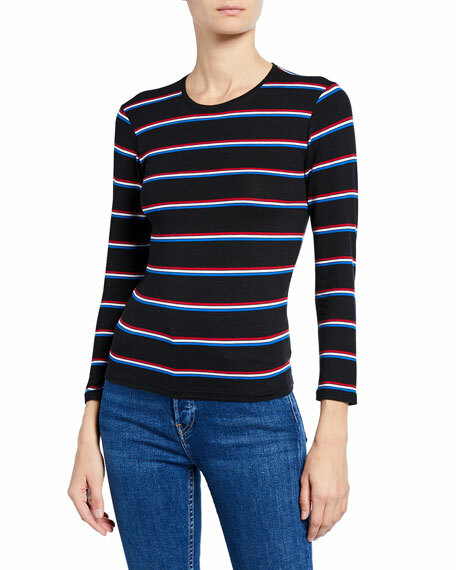 ATM Anthony Thomas Melillo striped jersey tee. Crew neckline. Long sleeves. Slim fit. Slipover style. Pima cotton/spandex. Machine wash. Made in Peru. 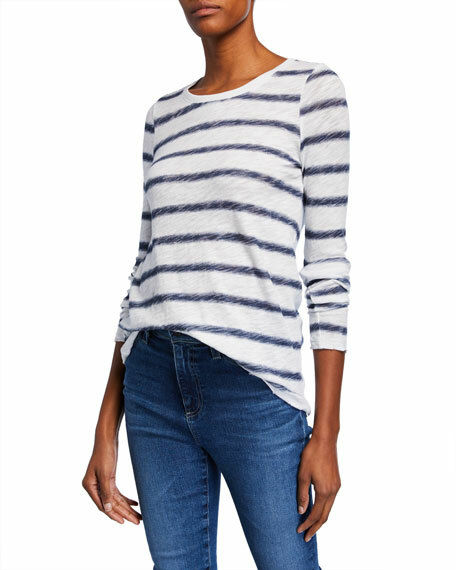 ATM Anthony Thomas Melillo watermark-striped slub jersey top in cotton. Crew neckline. Long sleeves. Semi-fitted. Raw-edge hem. Pullover style. Cotton. Hand wash. Made in Peru. Kiki De Montparnasse "Grand Intime" tee. Scoop neckline. Sleeveless. Relaxed silhouette. Cropped hem. Viscose/MicroModal rayon/nylon. Silk/Lycra spandex trim. Made in USA of French material. Perfect to be paired with the "Grand Intime" thong (sold separately).